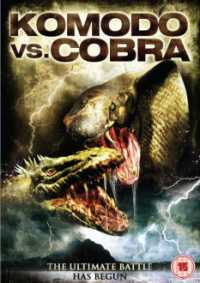 Komodo vs. Cobra, also referred to as KVC, is a 2005 television film directed by Jim Wynorski. It is Wynorski’s sequel to his 2004 film Curse of the Komodo, with several similar elements (experimentation gone awry, father-daughter team, government attempt to bomb things, the ending, Komodo’s behaviors, etc.). Wynroski says the first film “all turned out rather fun; so much so that they asked me to do a sequel. I said I would do it provided they sent myself and the entire cast to Hawaii to film it…which they did.